Technically this means results-based payments for forest-related carbon reductions can be rolled out, but there is no framework for such a system yet. 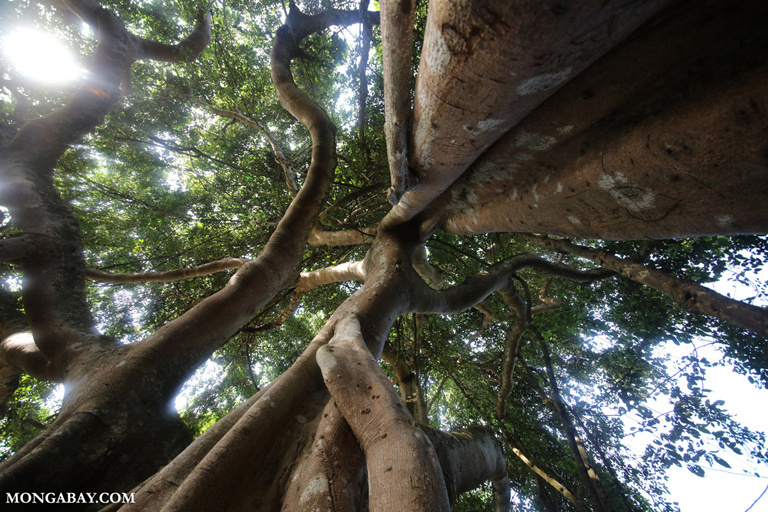 Some forestry experts remain skeptical of REDD+ and its approach to forest management. HO CHI MINH CITY, Vietnam – In late 2018, Vietnam became the first Asia-Pacific country to reach eligibility for results-based carbon reduction payments under the UN-REDD Program, fulfilling its safeguard requirements under the United Nations Framework Convention on Climate Change (UNFCCC). Under UN parlance, this nine-year period was called Phase 1, and focused on readiness. Akiko Inoguchi, a Laos-based Forestry Officer at the UN’s Food and Agriculture Organization (FAO), has been involved with UN-REDD work in Vietnam from the start. She wrote a recent reflection on that effort for the UN-REDD Programme’s official website. REDD (Reduce Emissions from Deforestation and Forest Degradation) was first proposed in 2005. It is often used interchangeably with REDD+, though these acronyms denote different goals: REDD aims to reduce emissions caused by deforestation, while REDD+ targets that as well as the conservation of forest stocks and sustainable forest management. The latter will be used for the remainder of this article since all of the above issues are crucial in Vietnam. 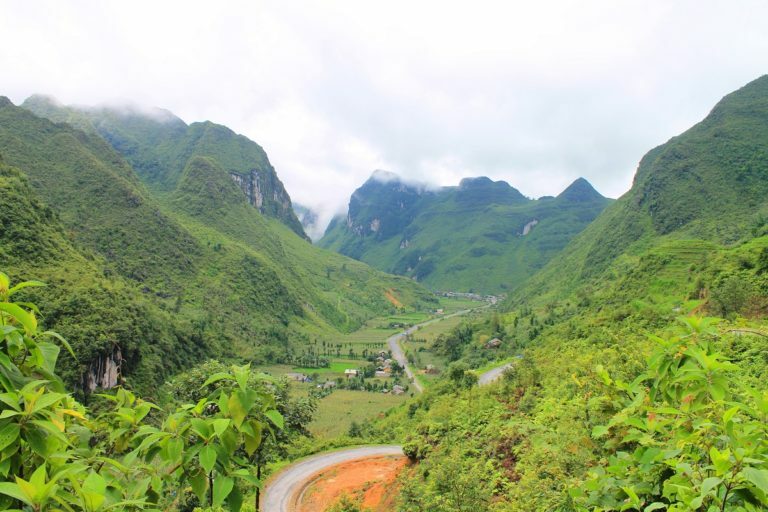 REDD+ entered Vietnam, where natural forests are threatened by issues such as climate change, industrialization and illegal logging, in 2009. Payments to local communities have been one of the biggest challenges facing REDD+ in Vietnam. “At one point,” Inoguchi shared, “what we essentially did was to almost promise people and local forest managers that they would be financially compensated if they took care of their forests.” Such compensation was supposed to come through, but not until the second stage of REDD+ began in Vietnam. 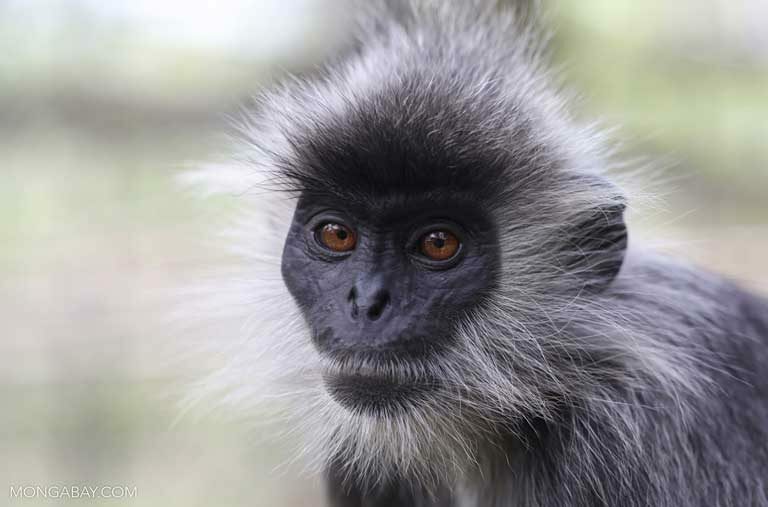 Indochinese lutung (Trachypithecus germaini). Cambodia, its people, forests and wildlife, are still recovering from the ravages of the Vietnam War era, when the U.S. dropped more bombs on the country than were dropped by the Allies during all of World War II. Photo by Rhett A. Butler. At the national level, the UN-REDD program included up to 30 people, while each of the six provinces where REDD+ work was underway involved a provincial management unit made up of people from the local forestry departments and contracted consultants. These units included about five members each, though this manpower has been significantly reduced due to international commitments. Some time later, the FAO team, including Inoguchi, returned to a village where this message had been spread, and a woman with a baby stood up in front of a large crowd and asked where their money was, as they had been maintaining the nearby forest. Pamela McElwee, an associate professor in the Department of Human Ecology at Rutgers University and author of the 2016 book “Forests are Gold: Trees, People and Environmental Rule in Vietnam,” is something of a REDD+ skeptic. This is especially true when it comes to payment schemes and the mixed messaging local people have received. UN-REDD currently supports national REDD+ readiness efforts in 65 countries across Africa, Asia-Pacific and Latin America, while Vietnam was among the initiative’s pilot countries. This means the country was one of the first to experience problematic outcomes under REDD+. According to the professor, these farmers didn’t plant any crops the following season, expecting payment to come through under REDD+. Those funds never appeared, as Vietnam was still in Phase 1, meaning UN-REDD payments couldn’t be made yet. “So all the men had to go do wage labor elsewhere to make up for the fact that they’d already started changing their livelihood practices and there were no payments, so that [leading people to believe they would be paid in return for forest management], I think, is particularly dangerous,” McElwee explained. 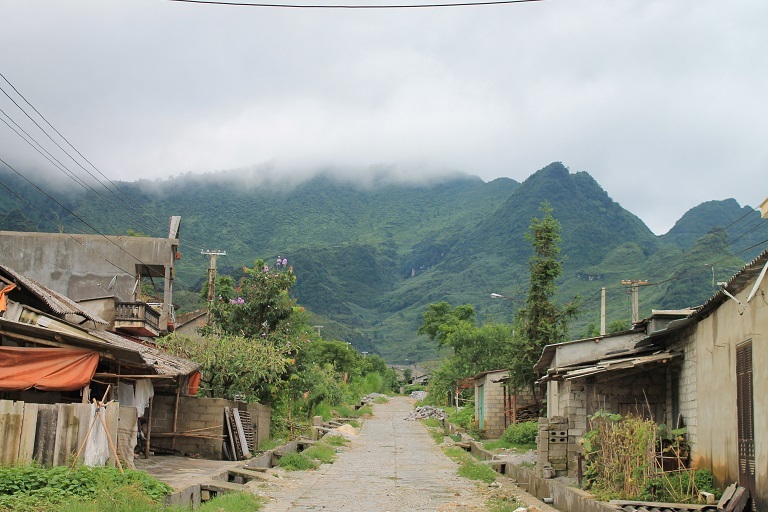 Rural-urban migration is common in a rapidly developing country such as Vietnam, but it can lead to fractured families, as women are left behind to care for children while their husbands go work in fields such as construction in prosperous cities and towns. Great Banyan tree in Son Tra, Vietnam. Photo by Rhett A. Butler. The FAO’s Inoguchi says she recognizes these issues with REDD+, and that some organizations were off in their estimate of how quickly it could be implemented. “Globally, people [who attended global UN Framework Convention on Climate Change negotiations] were way too ambitious to think that any country, let alone a developing country, could transform a sector or the country in a matter of years,” she said. In 2012, the FAO was given a three-year timeline in Vietnam, and when 2015 arrived they got a three-year extension. Inoguchi had lobbied for at least five more years. Nonetheless, she is generally happy with their achievements here. “There’s been lots of good progress, and I think essentially the most important thing right now is that Vietnam’s leadership and the government in general are looking at forestry in a much different light and perspective than when we started this, so that’s the biggest achievement that REDD+ readiness has contributed to,” she said. 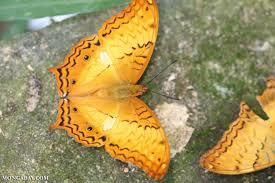 As mentioned earlier, the FAO and UN-REDD will no longer play a large role in Vietnam’s program moving forward. This is thanks to the mandate of the Norwegian Forestry and Climate Initiative, the donor which funded the organization’s REDD+ work in the country. Norway has cut back assistance to Vietnam across the board, since the Southeast Asian nation is an emerging middle-income country. According to the Norwegian Agency for Development Cooperation, overall aid to Vietnam fell from $31.5 million in 2012 to $10.3 million in 2017. Support for REDD+ was included in those cuts. The FAO is not completely exiting its involvement in REDD+ in Vietnam, however, while other international organizations such as the Forest Carbon Partnership Facilityand the Japan International Cooperation Agency will continue to offer technical and financial assistance, Inoguchi added. A small village nestled in the Ha Giang province in Vietnam near the border with China. Photo by Michael Tatarski for Mongabay. Meanwhile, in the course of their research, McElwee and her colleagues have found that the long, relatively uncertain timeline of REDD+ has frustrated both people on the ground and the Vietnamese government. She shared one anecdote of a village head in Lam Dong Province, also in Vietnam’s Central Highlands, who told an official from the local Department of Agriculture and Rural Development that he had come up with a wisecracking acronym for agencies working under REDD+ which translates in English as “here you come and go again.” The slight refers to REDD+ officials who visit, promise action and money, and then leave. The government, meanwhile, is focusing on domestic policy, which has been somewhat more successful thus far in terms of allocating funds to communities. Nguyen Thi Hai Van, a PhD candidate at the Institute of Geography and Sustainability at Switzerland’s University of Lausanne, did her Master’s research on the REDD+ pilot project in Kon Tum mentioned above. She explained in an email that this province, along with nearby Quang Nam and Quang Ngai, have received money from the Ministry of Agriculture and Rural Development to pay local communities to protect forests. This particular program was created with assistance from Fauna & Flora International. These funds have supported village forest protection teams, and will do so through 2020. However, it is unclear when payments for carbon reductions, the ultimate goal of REDD, will become a reality. “Problems have emerged due to the disconnection between the local REDD+ project and the national REDD+ program system and the lack of a legal framework for selling carbon credits,” Van said. This highlights one of the structural challenges inherent in REDD+, which features international, national and provincial layers coordinated by the UN, the central government in Hanoi and local governments, respectively. Jagged mountains, home to rare primate species like the Delacour’s langur, loom over the town of Meo Vac in Ha Giang Province. Photo by Michael Tatarski for Mongabay. As the country enters Phase II of the program, however, it isn’t clear how exactly it will benefit national forestry management. With a national logging ban in place, corruption is a huge problem when it comes to Vietnam’s cross-border timber trade, as previous Mongabay reporting has found, and earmarking money for a corrupt sector will not solve such problems. Vietnam’s overall forest cover expanded from 42 percent in 2005 to 48 percent in 2016, according to the FAO. However, the agency’s highly detailed 2015 Global Forest Resources Assessment shows that much of this growth has been in the form of timber plantations, while old-growth forests have shrunk. The next such assessment will be released in 2020. McElwee explained that this has created a two-tier forest sector, one made up of low-quality forests managed by smallholders and plantations, while high-quality natural forests are managed by the state. REDD+, she argued, does not take this system into account.